Computatest was originally founded in Aberdeen in 1981.
Who developed the Analysis Package? The package was originally developed by David Waddell. Where can I find more information, request a quote, etc.? Is the mathematical model the same as the original? No, the gauge is now completely modeled using the parameters from the calibration. What is new in the mathematical model? Additional modeling of the gauge adds Hysteresis. Can I get my original pressure data reinterpreted? Yes, you can get the pressure data reinterpreted by sending a request to [email protected] You will receive a secure link to drop off and pick up your data. What is the history of the bottom hole pressure bomb? 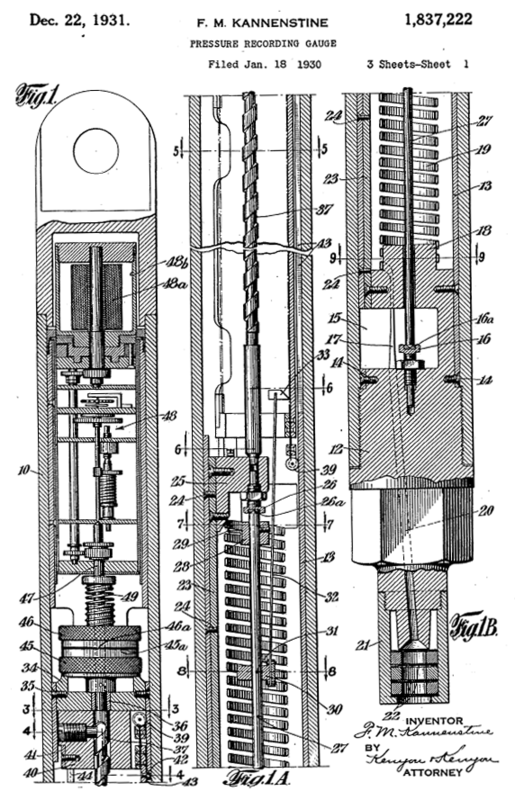 The US Patent 1837222 A is by inventor Fabian M. Kannenstine and assigned to Geophysical Research Corp. Application January 18, 1930. More details on the history page.